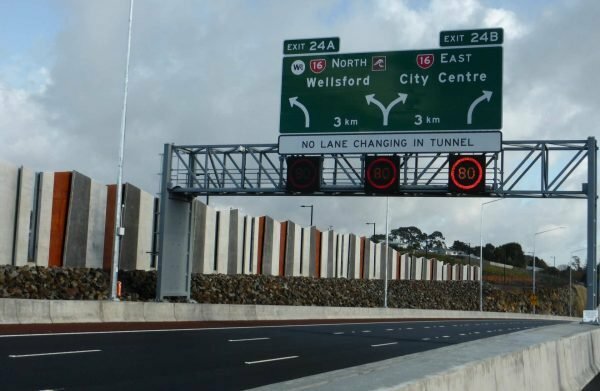 While New Zealand has nowhere near the number of prominent road tunnels that some European countries have, we still have significant ones like the Waterview tunnel. Driving in a tunnel tends to be at least as safe as driving on other roads, but only after drivers have passed a ‘transition zone’ which lasts around 400m from the entrance of the tunnel. It’s here where a driver’s eyes have to adjust to a new light level, a new environment, and possibly narrower lanes and a change in traffic speed. The tunnel exit also tends to experience more accidents than within the tunnel. The most common types of accidents in tunnels are nose-to-tail and side-swipe (i.e. changing lanes without seeing another vehicle). It’s rare that these types of accidents are serious unless there’s a truck involved or if the vehicle catches fire. What makes tunnels more dangerous for drivers? Tunnels are expensive to construct and difficult to maintain. They are built to a minimum set of safe requirements, usually with no extra space to spare. This means that you won’t find wide hard shoulders and runoff areas and that lanes will be the minimum practical (or legal) width. This reduced space means more chance of a driver hitting something as there are fewer escape options. As a driver drives into the tunnel, it’s a totally different environment and it can take several hundred metres to adjust to it. Light levels are different to those outside (although, some tunnels have smart systems to try to match it) and everything seems more enclosed. In fact, drivers tend to move away from the walls naturally. This makes it all the more important that drivers leave more space to the vehicle in front (i.e. not tailgating), that motorcyclists don’t filter unless the traffic is moving very slowly and that drivers don’t change lanes unnecessarily. Almost 100% of accidents in tunnels are caused by driver error as there are no animals, pedestrians or cyclists to contend with. 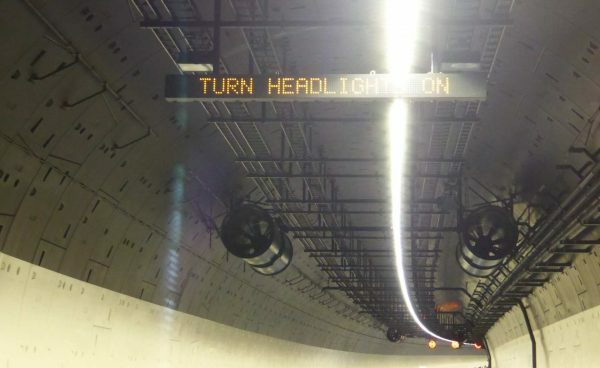 Tunnels often have traffic flowing in just one direction meaning no risk of a head-on collision, but risks are increased because drivers in lanes adjacent to walls move away from the walls leaving less margin of error for drivers in the middle lane or lanes. As overtaking is discouraged in tunnels, nervous drivers become a problem when they slow down too much, exacerbating the bunching effect of already lower speed limits. This creates platoons of frustrated drivers immediately behind them and large gaps in front of them. Frustrated drivers are dangerous drivers as they tend to tailgate and make rash decisions. Slower drivers should choose the left-hand lane (like the Road Code says you should do when you’re not overtaking) so that faster drivers can get past. Overly aggressive and overly nervous drivers are primary causes of congestion and incidents in tunnels; traffic flows more smoothly if everyone sticks to the limit. 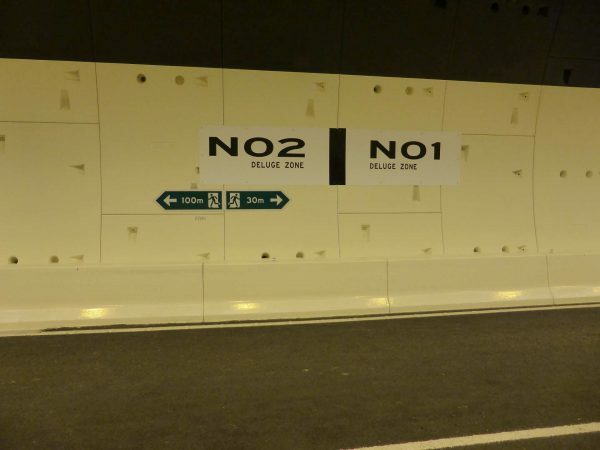 Noxious fumes can accumulate in tunnels, particularly carbon monoxide, which will affect a driver’s concentration and reaction times, nitrogen dioxide and particulate matter. It’s best to change the air conditioning to recirculate when passing through a tunnel. 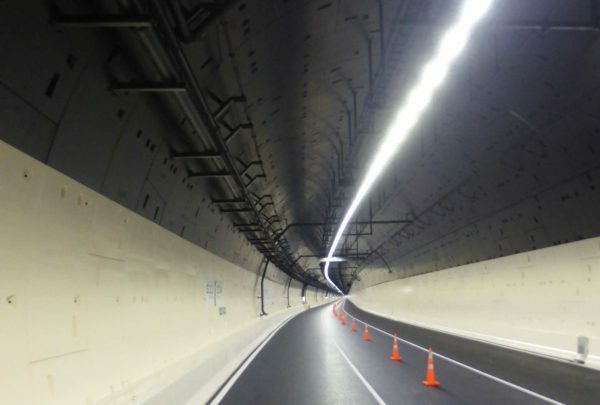 How do tunnel designers improve tunnel safety? Improving ventilation get rid of noxious fumes. Variable message boards before the tunnel should warn you if there are any accidents ahead. If an accident happens in front of you and you need to stop, switch your air conditioning to recirculate and turn off your engine. Turn on your radio to a local station that is likely to have news. Watch for signs that you might need to evacuate the tunnel. If you collide with another vehicle and both vehicles are driveable, drive to the end of the tunnel and use the hard shoulder to swap details rather than blocking a lane; don’t leave debris scattered in a lane, though, as it could cause other issues such as punctures in other vehicles. If you collide with another vehicle and one or other vehicle is not driveable, move as far left as possible, put your hazard warning lights on, stay with the vehicle and call emergency services. 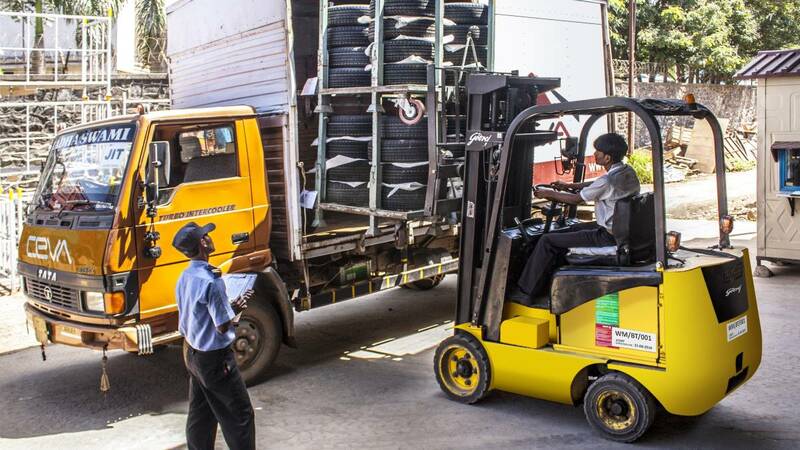 ‹ How much training should you give your forklift operators?